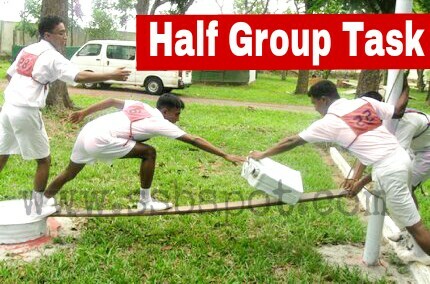 What is Half Group Task ( HGT)? Working in a group in progressive group task it is difficult to express ideas for each and every candidates. In progressive group task you may feel that you had the ideas but could not do the task in the manner you wanted to do. This half group task give you opportunity to express your ideas while doing the task. Your group will be divided into two half groups. Suppose if initially your group has 9 candidates then the crew group will be of 4 and 5. GTO will make this group according to weak candidates and strong candidates. During the task some candidates gets dominating and rest of the candidates didn't get chance to perform the task according to them. GTO had observed this already in progressive group task. 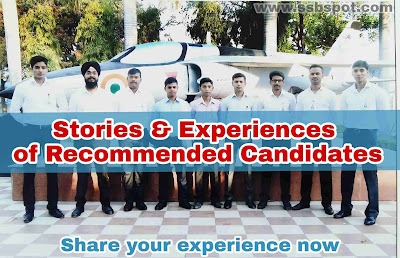 Now he will differentiate these candidates by making two groups, so that the rest of candidates too get chance to do that task in the manner they wanted to do. Your group will be divided into two half groups. Both the groups will be given the same task one after the other. The task consists of only one obstacle. All the rules are applicable like color rule, group rule etc. After the GTO will divide group into two half groups. He will send one half group to the waiting room and put the other half group through the task. The purpose of doing this is that while one half group was doing task, the other half group was in the waiting room and the two half groups cannot see each other doing the task. This way the GTO will conduct the half group task.